Mr. Louis Page is a Fellow Member of the Institute of Chartered Accountants of Sri Lanka and a Fellow Member of the Chartered Institute of Management Accountants (UK). He has been involved in the operations of C T Holdings PLC in a non-executive capacity in setting and reviewing of policy framework, and in key investment decision making. 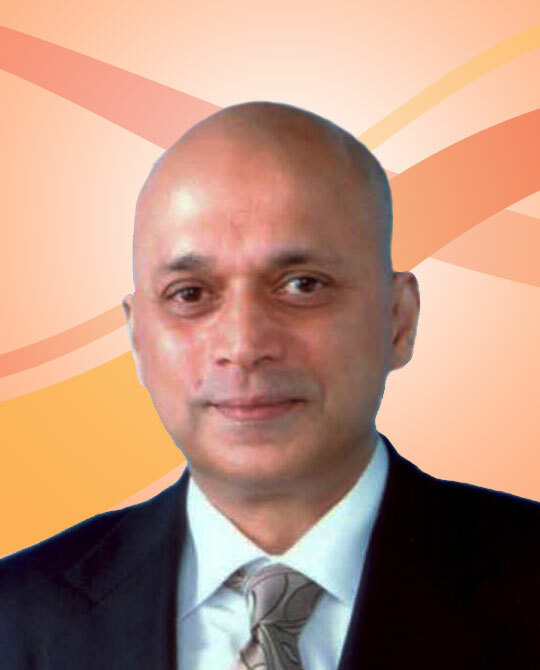 In 2014 he was appointed as the Chairman of CT Holdings and is also the Chairman of Cargills (Ceylon) PLC. He has held a number of senior management and Board positions in Companies overseas. Mr. Ranjit Page is the Managing Director of CT Holdings PLC and Deputy Chairman of Group subsidiary Cargills (Ceylon) PLC. He also serves on the boards of several Group Companies. Mr. Page counts over 30 years’ of management experience in food retailing, food services and manufacturing, having introduced the concept of super marketing to the Sri Lankan masses. He is a strong activist for sustainable business and has been invited to share his expertise at a variety of national and international forums such as the World Bank, the Asian Development Bank, UNIDO etc. 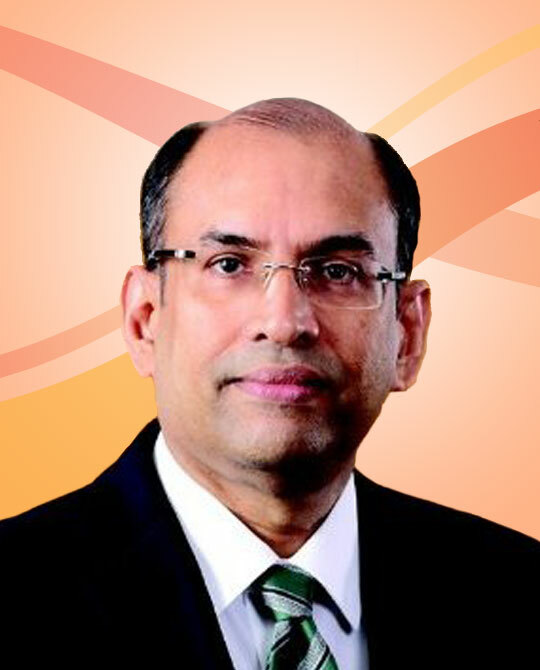 Mr Rajendra Theagarajah is a veteran banker with a wealth of experience in the Banking and financial services sector. He counts over 33 years’ in Banking both locally and overseas. Mr Theagarajah served as Director / Chief Executive Officer (CEO) of National Development Bank PLC (NDB) from August 2013 till November 30, 2016. Prior to that, he served as CEO/ Managing Director at Hatton National Bank PLC for 9 years. Mr Theagarajah was also a past Chairman of Sri Lanka Bankers’ Association (Guarantee) Ltd, Financial Ombudsman Sri Lanka (Guarantee) Ltd, former Director of Colombo Stock Exchange and former Chairman of the Asian Bankers Association. 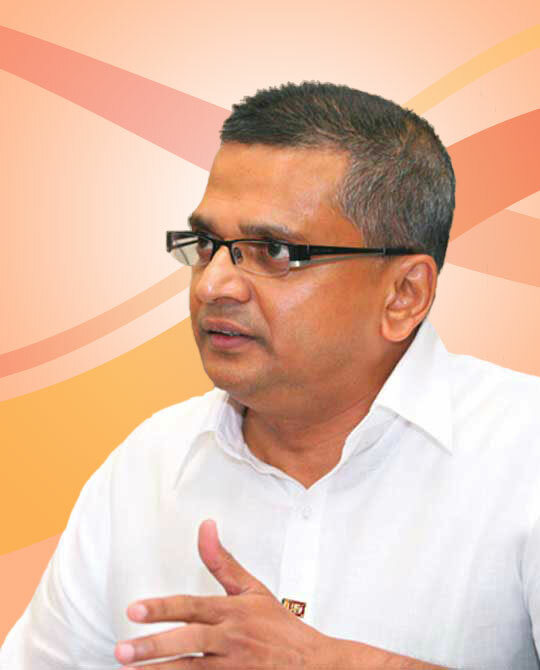 He has also served as a Council Member of the Sri Lanka Institute of Directors. 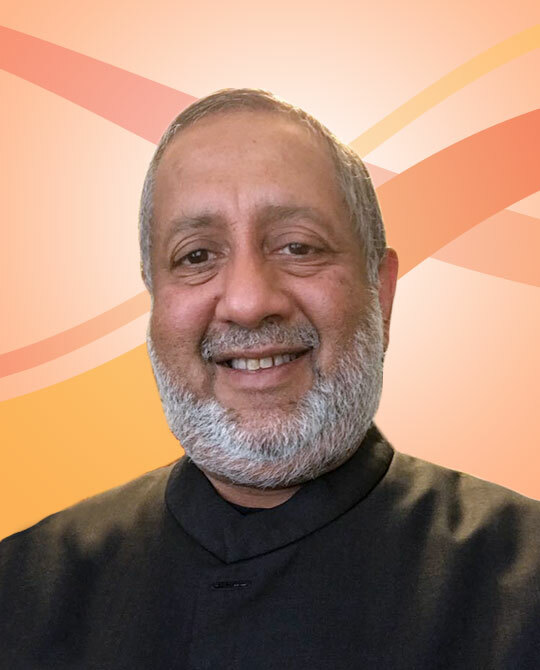 He currently serves as the Vice Chairman of the Ceylon Chamber of Commerce is a past Chairman of the Chartered Institute of Management Accountants (UK) Sri Lanka Governing Board. He is currently a co-opted member in the CIMA UK’s Global Council and also serves as an independent non-executive Director of Carson Cumberbatch PLC. Mr. Prabhu Mathavan is an Associate Member of the Chartered Institute of Management Accountants (UK) and the Institute of Chartered Accountants of Sri Lanka. He also holds a Bachelors Degree in Commerce. He possesses over 19 years’ of experience in the fields of Finance, Auditing, Accounting and Taxation. He is a Director at Cargills Ceylon PLC. Mr. Mangala Boyagoda is a senior banker, possessing over 30 years’ of experience in the field of financial services. He commenced his banking careers at Bank of Ceylon and served in capacities of Chief Dealer with a four year stint at Bank of Ceylon, London. In 1992, he joined John Keells to set up the investment banking arm, Waldock Mackenzie as General Manager Fixed Income Securities. He was thereafter involved in setting up Union Bank, where he served as Head of Treasury. He served at DFCC Bank as Senior Vice President Treasury from 1997 to 1999. He joined Standard Chartered Bank in 1999 as Head of Global Markets and was thereafter promoted as Chief Executive Officer. 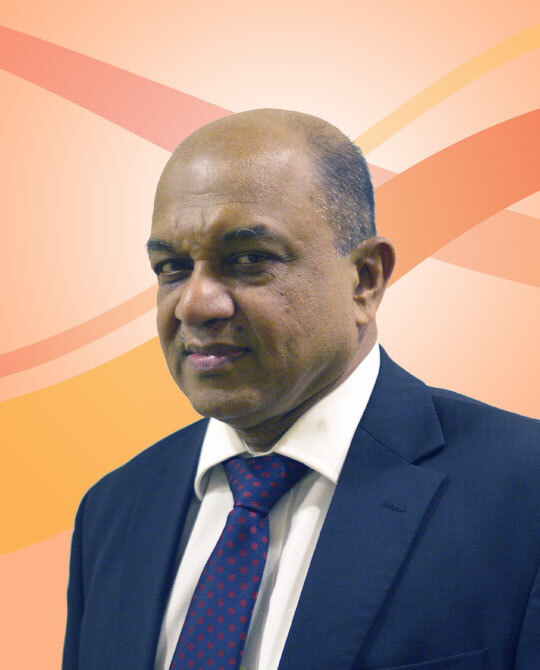 In 2003 he served as Managing Director/ Chief Executive Officer National Wealth Corporation Ltd.
Mr. Boyagoda presently serves as Chairman, Wealth Lanka Management (Pvt.) Limited and Director of SAFE Holdings Ltd, WealthTrust Securities Ltd, New World Securities (Pvt.) Ltd, Asset Trust Management (Pvt.) Ltd, Ceylon Hotels Corporation and Sierra Construction Ltd. He holds a Masters Degree in Business Administration from the Irish International University (European Union), UK. 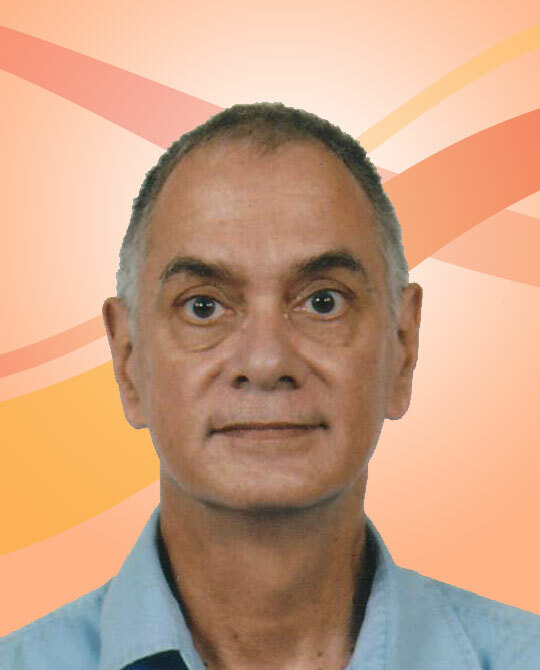 Richard Ebell is a fellow member of the Institute of Chartered Accountants of Sri Lanka (CA Sri Lanka) and the Chartered Institute of Management Accountants (CIMA), UK. He also holds a Diploma in Marketing from the Chartered Institute of Marketing (CIM), UK. Mr. Ebell has 38 years’ of experience in diverse roles in finance and operations after qualifying as a Chartered Accountant in 1977. This includes 32 years at Hayleys PLC, where he was Finance Director at the time of his resignation in late 2009, and 2 years at Loadstar (Pvt) Ltd, where he was Chief Financial Officer from mid-2010 to mid-2012. 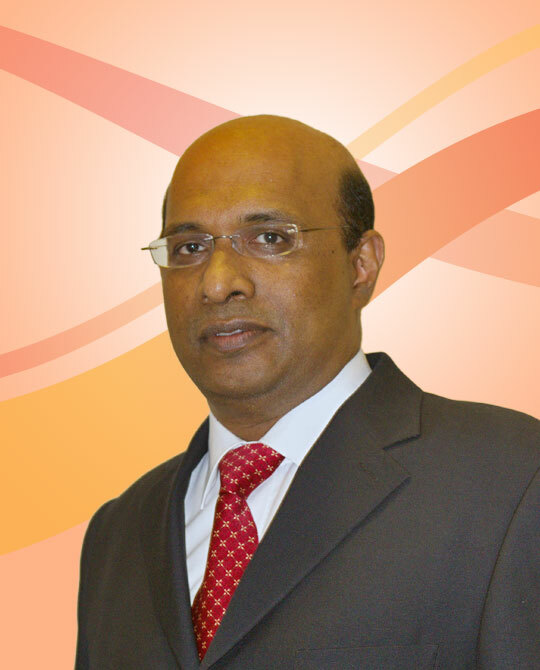 He is a Past President of CIMA, Sri Lanka Division, and a member of CA Sri Lanka’s Quality Assurance Board. He participated in establishing an Audit Committee Forum in June 2014, and remains involved with that initiative which has gained considerable momentum over the year of its existence. Mr. Faizal Salieh possessing over 30 years’ of sound and varied experience in the Banking / Financial Sector both in Sri Lanka and overseas with special skills in setting up and running the business operations of 2 new banks in Sri Lanka, namely NDB Housing Bank and Amana Bank. Experience includes 13 years in Senior Management positions and 13 years at Managing Director & CEO positions. Positions held include Head of Corporate & Merchant Banking at ANZ Grindlays Bank; Chief Operating Officer at National Development Bank; Executive Director/CEO at NDB Housing Bank; Managing Director at Amana Investments Limited; and Managing Director/CEO at Amana Bank PLC. Ms. Ruvini Fernando holds an MBA with a merit pass from the Postgraduate Institute of Management, University of Sri Jayewardenepura and is a fellow of the Chartered Institute of Management Accountants (CIMA), UK and the Association of Chartered Certified Accountants (ACCA), UK. 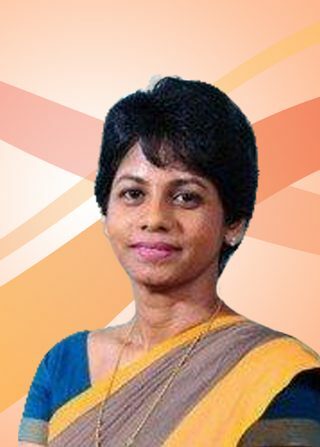 She is currently a member of the National Agenda Committee on Finance and Capital at the Ceylon Chamber of Commerce and was a member of the Regaining Sri Lanka Tourism Steering Committee an industry policy making body with public and private sector representation from 2001 to 2004. Ruvini was Chief Executive Officer and Director at Guardian Fund Management Limited, the investment management company of the Carson Cumberbatch Group. She was also an executive director at Ceylon Guardian Investment Trust PLC and many of its subsidiaries, heading the investment sector of the Carsons Group for 12 years. She also was joint CEO of the unit trust management company Guardian Acuity Asset Management Limited, which manages three licensed unit trusts. Currently Ruvini Fernando is a Director PPP Advisory and Deals Strategy at PricewaterhouseCoopers (PwC), Colombo, heading the capital projects & infrastructure practice of the firm, and deal strategy including fund raising mandates. 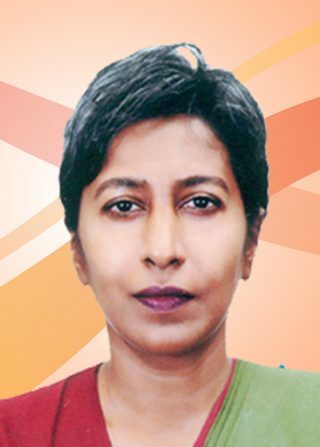 Dr. Dushni Weerakoon holds a BSc in Economics with First Class Honours from the Queen’s University of Belfast, U.K., and an MA and PhD in Economics from the University of Manchester, U.K.
She served as a Director on the boards of corporate and academic entities, including as an Independent Non-Executive Director at the Nations Trust Bank (2007-2016), Centre for Poverty Analysis (2008-2014). Dushni is the Executive Director of the Institute of Policy Studies of Sri Lanka (IPS), the foremost economic policy research organization in Sri Lanka. She also heads the IPS’ Macroeconomic Policy Research Programme. With over 24 years of post-doctoral research experience, she has written and published widely on macroeconomic policy, regional trade integration and international economics. 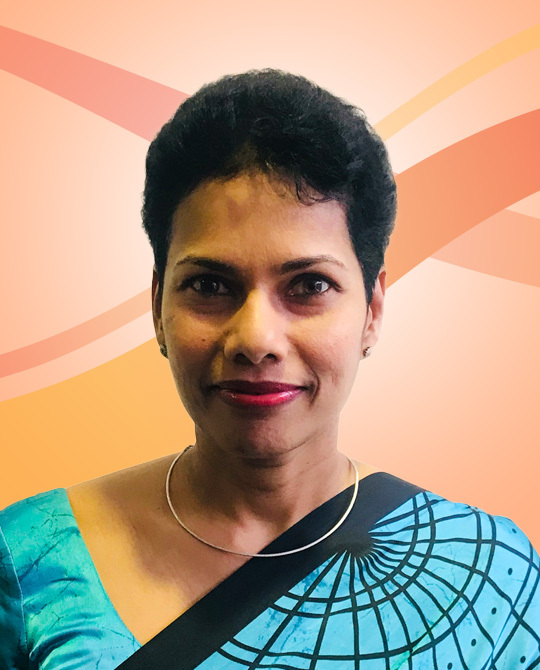 She also currently serves as a Director of the Gamani Corea Foundation, the Social Policy Analysis and Research Centre of the University of Colombo, and the South Asia Centre for Policy Studies, New Delhi. Appointed as Company Secretary on 1 st May 2018, she counts over 20 years of experience in the Banking Industry. She is an attorney at law and holds a Diploma in Compliance from International Compliance Association. She has previously functioned as a Legal Officer at National Development Bank of Sri Lanka and as Manager- Legal (Corporate) at Hatton National Bank PLC. Prior to joining the Bank, she headed the Compliance Function at National Development Bank PLC.